Volcanic ash even clogs Facebook stream! Hundreds of thousands of air travellers had their travel plans disrupted in Europe by volcanic ash from the Eyjafjallajökull eruption. Thousands of Poles are protesting against the planned burial place of President Lech Kaczy?ski, who died in a plane crash last Saturday. The former president is to be buried in Wawel Castle in Kraków on Sunday, among kings and national heroes. The European press believes he did not merit such a resting place. Chances of seeing a burqa in Belgium are only a little better than spotting a liquor shop in Saudi Arabia. Yet Belgium soon may be the first European nation to outlaw the burqa and other Islamic garb that completely hides a woman’s body and face. In this report, ECRI requests that the United Kingdom authorities take further action in a number of areas; in this context, it makes a series of recommendations, including the following. ECRI makes a number of recommendations in the field of international, constitutional, criminal and civil law, in order to strengthen the legal framework against racism and discrimination and to ensure that the implementation of the legislation in place is as effective as possible. It recommends that the authorities take steps to ensure there is a closer link between race equality duties and outcomes, and that adequate resources are available for the effective monitoring and enforcement of such duties. Nearly all European nations are experiencing long-term downtrends in fertility, and consequently, ageing of their populations. These demographic trends could have potentially damaging consequences for European economies. Concern over these trends has sparked intense debate over the most effective policies to reverse them or mitigate their consequences. Three broad policy approaches have been considered: (1) encourage childbearing (marriage and cohabitation) among younger couples; (2) increase immigration of working-age people; and (3) reform social policy more generally, in order to ameliorate the negative consequences of these trends. The study intends to improve understanding of the interrelations between policy and demographic change. It examines the interrelations between European government policies and demographic trends and behaviour, and assesses which policies can prevent or mitigate the adverse consequences of current low fertility and population ageing. Therefore, a framework has been developed highlighting the interrelationships among government policies, macro-level conditions and household-level demographic behaviour, all of which combine to influence population factors. Guided by this framework, three research tasks were carried out: (1) the research literature was reviewed; (2) European demographic data were examined; and (3) case studies of five countries were conducted. The study has resulted in several conclusions and implications for European policymaking. In the last decade, health policy has gained a prominent position internationally and health aid has quadrupled amounting to over 16 billion euros. There are good stories to tell and concrete achievements on which to build. Yet, the lack of progress on health MDGs in the poorest countries and the growing challenges of globalization call for a strong EU global health vision, voice and action. The Commission proposes today areas for action, based on EU principles of solidarity, towards equitable and universal coverage of quality health services. The Commission highlights the main challenges that the EU needs to address: leadership, universal coverage, coherence of EU policies and knowledge. This new policy framework aims to be a turning point in promoting the right to health and better addressing global health challenges. Next month will see the annual Europe Day Celebrations take place on May 9th. This is year, the European Movement International have decided to have a theme to this years celebrations and have decided on ?United in Diversity? (sound familiar?). It?s really an incredible thing to witness ? British elections apparently don?t slowly emerge and gather pace, but instead arrive with a loud thud. 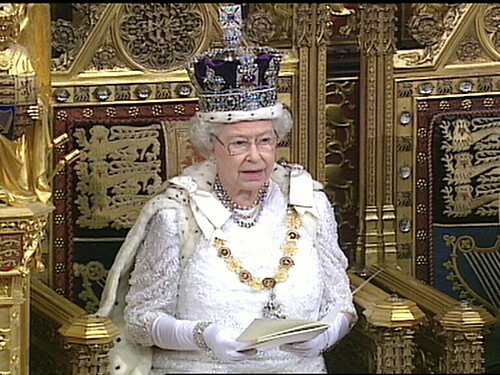 Last week Prime Minister Gordon Brown called an election, and on Monday the Queen ceremoniously dissolved parliament. Almost on cue, my Facebook feed suddenly lit up with status messages from Brits asking who they should vote for. The party may already be over for the hyperactive French president, Nicolas Sarkozy, even after only three years in office. The rout of his Union pour une Majorité Présidentielle (UMP) in France?s two-round regional elections on 14 and 21 March 2010 is a devastating blow for a leader whose profile so much depends on an endless bubble of mediatised momentum. The result was the French right’s worst since the founding of the fifth republic in 1958: its 35.4% of the vote compared with the 54.1% achieved by the left (led by the Parti Socialiste [PS] and the green Europe Ecologie), its own best score since 1981. After weeks of heated argument over the Greek debt crisis, the European Union has engineered a kind of solution ? albeit a strictly limited and provisional one. The European council summit on 25-26 March 2010 in Brussels reached an agreement to offer Greece the prospect of financial help if certain conditions were fulfilled; then on 11 April, after a nervous period when the bond-markets? pressure renewed concern over the possibility of a Greek default, Athens? fifteen partners in the eurozone agreed a package which offers Greece a series of bilateral loans at favourable interest-rates (less than 5% over a three-year period). The total sum involved may reach as much as ?30 billion ($41bn); Germany?s contribution, reflecting its proportion of the European Central Bank (ECB?s) capital, could amount to ?8.4bn ($11.4bn). Everyone tries to behave well when confronted by tragedy. Vladimir Putin, the Russian prime minister, is proving no exception. He and the Russian authorities have behaved with notable compassion in the aftermath of the Polish plane-crash near the city of Smole?sk on the morning of 10 April 2010 which killed ninety-seven people. These included Lech Kaczy?ski, the Polish president, his wife as well as numerous officials, the entire Polish military high-command, and the central-bank governor. Also on board were family members of the victims of the massacre in April 1940 by the a Soviet NKVD, when over 4,000 interned officers were murdered on Stalin?s orders in Katy? wood outside Smole?sk. Since then the word Katy? has come to symbolise the murder of some 22,000 Polish officers, officials, policeman and landowners killed by the Soviets that spring seventy years ago. It is a particular kind of tragedy for a nation to lose a leader in a singular event, as in the assassination of John F Kennedy; another to lose thousands of citizens in acts of war, as in the attacks of 11 September 2001. But the plane-crash on 10 April 2010 that led to the death of ninety-four members of the Polish political elite in a forest near Smolensk airport in Russia belongs to a yet different order. The most striking took place on 1 March, when Bosnian vice-president Ejup Ganic was arrested on an international warrant while preparing to board a flight at London?s Heathrow airport. The charge: that while he was filling in for the abducted Alija Izetbegovic in 1992, he had ordered Bosnian troops to fire on a withdrawing column of Yugoslav People’s Army soldiers. The troops were being given passage out of their surrounded barracks in exchange for the release of Izetbegovic and his party. The electoral triumph of the Fidesz party in the first round of Hungary?s parliamentary elections on 11 April 2010, expected as it was, represents more than a shift to the right. Even before the second round takes place on 25 April, the right-of-centre Fidesz has already secured an overall majority – and now has an excellent chance to reach the two-thirds majority that would enable the party to change Hungary?s constitution. The European Commission has brutally failed, judging from some blank faces in our workshop on the European Citizens’ Initiative at the re:publica 10 this morning. Those European citizens present at the session – approximately 50 to 60 people – were to a large extend not aware of the current proposal of the European Commission for an initiative that is meant to be for European citizens. It needed four eurobloggers – eurosocialiste, Martin, Jon and me – to present the issue and to create stunned faces over the stupidness of the proposed rules (see Mathew’s summary of euroblog reactions so far). Today, leaders of the three largest British parties took part in the U.K?s first live televised debate in the run up to the May 6 general election. Alastair Stewart of ITN hosted Prime Minister Gordon Brown of the Labour Party, Conservative Party leader David Cameron and Liberal Democrat leader Nick Clegg as they discussed domestic affairs before a Manchester T.V. studio audience. Euro roundup: France Cabinet approves burqa ban, Eurozone troubles etc.